For those who love visually rich charts and graphs, Jerrycan displays all of your vehicle statistics in the most beautiful way possible. Gasoline may be cheaper than ever, but that doesn’t mean we should stop paying attention to how many miles per gallon (MPG) our cars actually achieve. Like many things in the modern smartphone era, there are apps to help accomplish this task and provide an eye-opening look at how efficient your automobile is running. One of my personal favorites is Gas Cubby, which the developer sold in 2013. Although the app still works, it’s fallen behind support for the latest APIs as new owner Fuelly works to integrate the app into its online fuel logging service. As a result, I’ve been on the lookout for something new. The recent arrival of Jerrycan caught my eye, which promises a far glossier approach on top of the usual fuel tracking chores. There’s no denying Jerrycan is graphically richer than Gas Cubby, also estimating the ecological impact of each vehicle by revealing carbon dioxide emission along with how many trees have been saved as your carbon footprint is reduced. 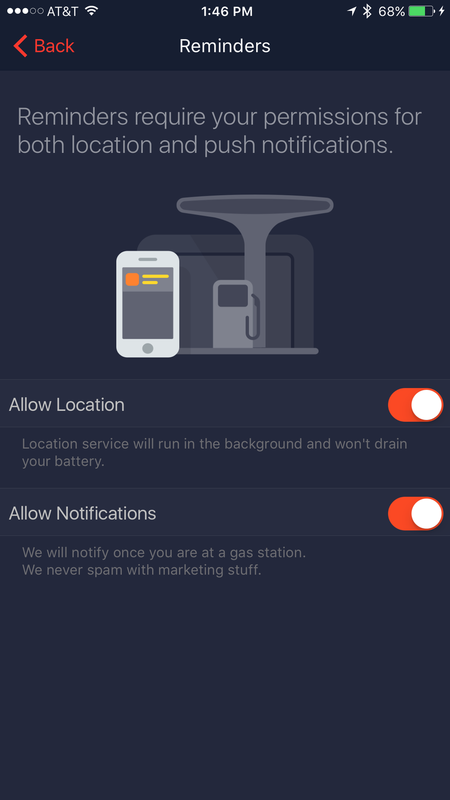 Jerrycan can be configured to send push notifications when you’re near a gas station. The app includes a few nice conveniences like push notification reminders that appear whenever you’re near a gas station. With a swipe Jerrycan opens, ready to record a new fill up, automatically recording current date, time, and station location. Swipe a finger across the odometer, price, and volume sliders, tap Add Fill Up, and you’re ready to hit the road. Unfortunately, this process is marred by glaring problems: Regardless of which unit type is selected when you set up a vehicle—gallons, in my case—the price is always displayed in liters. Worse yet, Jerrycan completely omits the trailing nine digit in use by every gas station in the United States. As a result, per gallon prices are always slightly off — drivers must record $1.959 per gallon as either $1.95 or $1.96 if they want to match the total shown on the receipt, for example. Filling up with Jerrycan is a snap, but per-gallon prices are rounded up, so drivers won’t get the most accurate results. 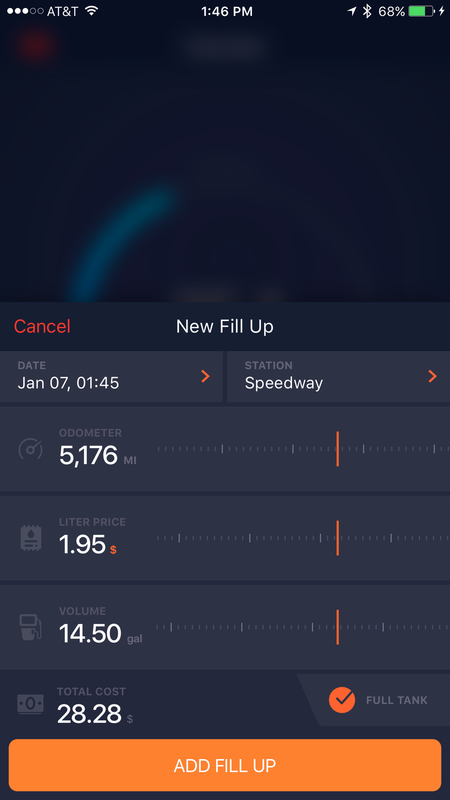 Although a new year is a great time to switch apps, Jerrycan’s developers had the foresight to include an option that makes it easy to import data at any time from two other fuel tracking apps: Gas Cubby or Road Trip. Naturally, I couldn’t resist trying it with the former, a simple process that involves copying a CSV file exported from Gas Cubby into Jerrycan via the iOS sharing extension. Importing data from Gas Cubby or Road Trip is a snap, but the results aren’t always accurate, such as the MPG displayed here. Attempting to manually edit improper or missing data like date and time caused the app to crash repeatedly, leaving me no choice but to delete the offending entries entirely until an update is released that hopefully corrects this issue. Jerrycan supports multiple vehicles with an optional custom photo for each, but there’s no in-app database available, so you’ll need to snap a photo with your iPhone or import an image from your existing library. 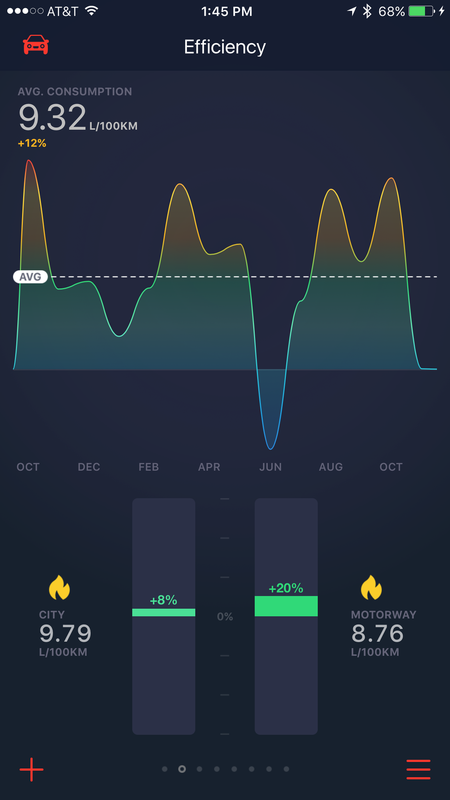 The app includes driving tips to further improve your efficiency, along with vibrant color charts and graphs for all data. 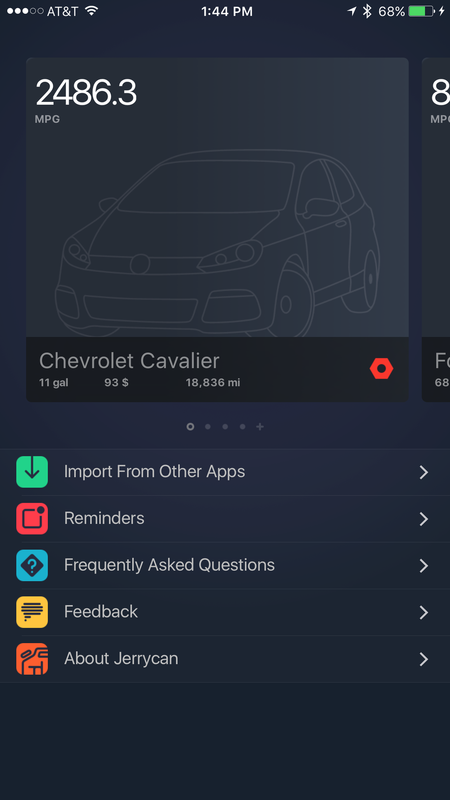 Although Jerrycan receives high marks for the app’s visual flourish, the lack of proper U.S. pricing and inaccurate data import is steering me back to Gas Cubby, at least until some of these first version bugs can be squashed.